This seed blew into my garden on this week’s westerlies. Any clues would be gratefully received. I have no intention of eating or planting it till I know more about it. Hope you’re enjoying the chill as we are here in Ipswich. Thanks for the photo of the seed pod and the seed. It is the Pride of Bolivia tree, Tipuana tipu, a species with flat, winged seed pods (technically known as a samara, a dry, one-seeded fruit with a winglike extension to aid dispersal: also found in ash and maple trees). This is a robust, durable and reliable, winter deciduous flowering tree. Windy weather helps disperse this invasive weed. “Any new outbreaks should be reported immediately to your state or territory weed management agency or local council. Do not try to control rosewood without their expert assistance. The federal government’s Natural Heritage Trust has noted this species “for eradication”, saying it “should not be imported into Australia or used as a street or garden plant”. Proactive, responsible Queensland shires have declared Tipuana tipu an environmental weed. However, Brisbane City Council and Moreton Bay Regional Council spend money maintaining significant numbers of these forest trees in public parks and as street trees, from Brisbane’s New Farm Park and South Bank to Grant Street in Redcliffe. Council tree seed disperses into farmland, bushland, creeks, flood planes, council parks and private gardens. Councils then spend more money paying people to eradicate this civic weed from public land. When I managed the arboretum of the Royal Botanic Gardens, Sydney, Government House and the Sydney Domain, this tree infested the display of Legumes (Fabaceae) in Bed 122, producing and annual carpet of seedlings. Currently, there’s no legal obligation to eradicate this species from either public or private land. Natural Heritage Trust warns landowners that unless eradication is carried out properly, the work may inadvertantly help further spread this pest plant, advising “Any new outbreaks should be reported immediately to your state or territory weed management agency or local council”. What a waste of ratepayer’s money and arboricultural effort. It seems the ‘Pride of Bolivia’ is fast becoming the ‘Shame of Queensland’. Good morning. 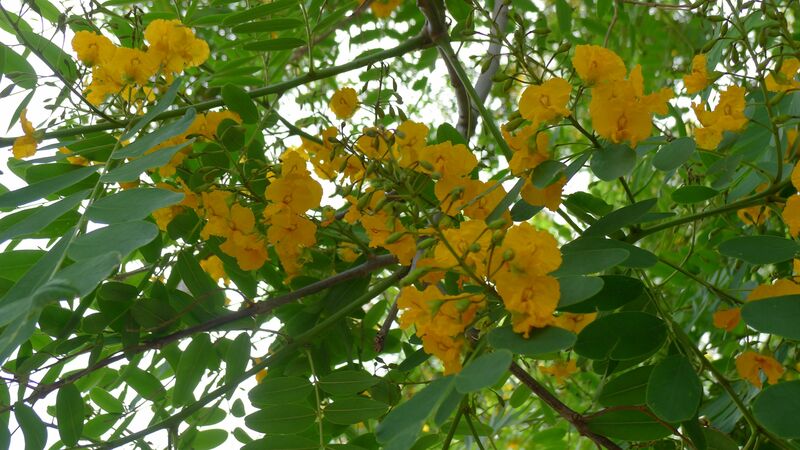 The tipuana tree was suggested to me as a tree to plant in paddock laneways on a horse complex. Fast growing great shade. I’m in Tamworth with cold frosty winters, very hot summers. The press is very bad on this tree and I wish to heed the warnings. Would you please suggest another tree with same qualities of speed in growth height shade and appeal? I don’t want to plant wattles and gums are far too slow. Thank you. Easy. Look around your region and note what is being grown instead. Liquidambar styraciflua is an alternative.